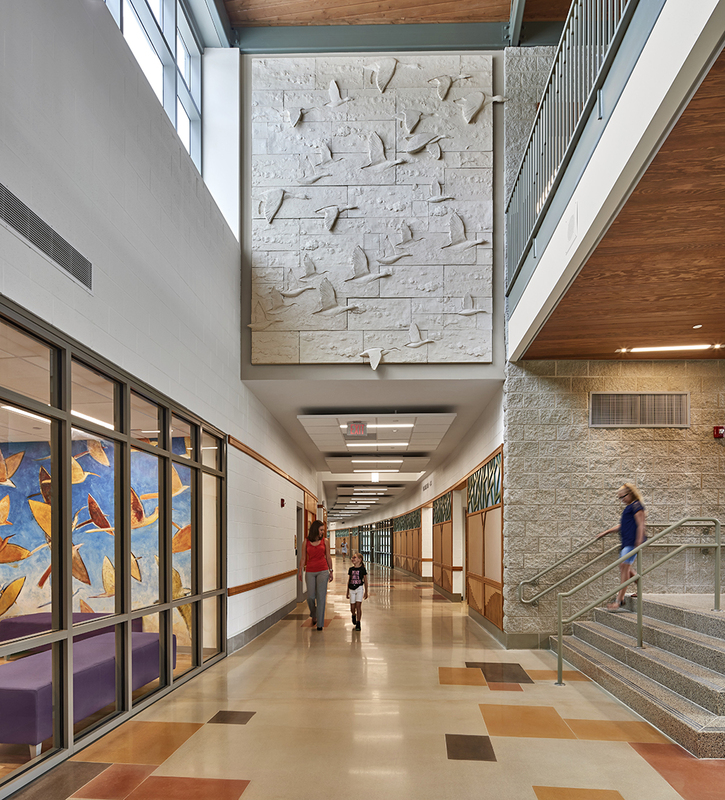 At a time of heightened fear of school shootings, a new awareness of the need for safer learning environments has led to a revolution in design, starting with the architecture of the building and grounds. The first line of defense in school safety can now come from the site itself, drawing on the principles of Crime Prevention Through Environmental Design. 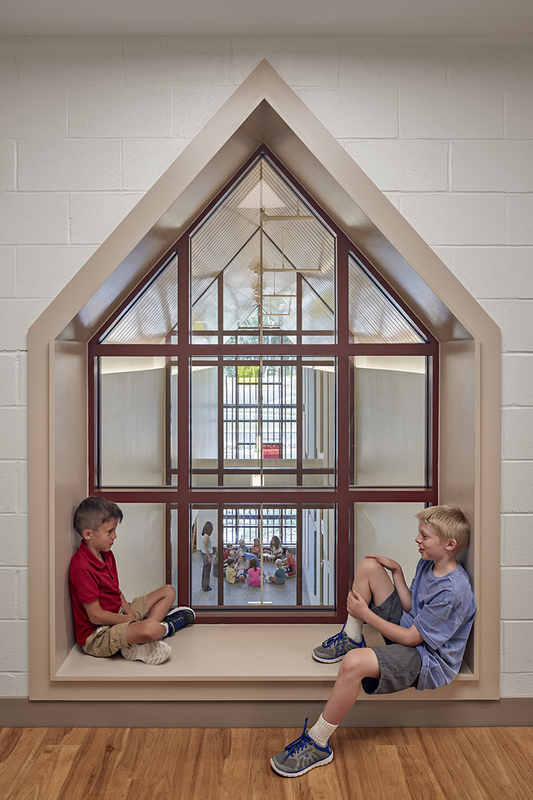 At Sandy Hook Elementary School in Newtown, Connecticut, children go to class in a safe facility that is as far from being a bunker as its architects could make it. And visitors to the school pass through security without even realizing it’s there. As the fifth anniversary of the mass shooting, which ended in the deaths of 20 students and six staff members on Dec. 14, 2012, approaches, the school’s architects and landscape designers talked to The 74 about the challenges of putting the watchwords “deter, detect, delay, and respond” into action. “This approach leads us to explore how to keep intruders from gaining access to the school building, often with campus plans that reduce visibility from the street and direct traffic flow strategically in ways that allow potential threats to be detected early,” says Alana Konefal, architectural designer with New Haven, Connecticut–based Svigals + Partners, the firm behind the new, $50 million Sandy Hook Elementary School. The school, which opened last year, replaced the building that was the site of the tragedy. It was demolished in 2013. In rebuilding the school, a balance needed to be struck between guaranteeing safety and ensuring that students didn’t feel trapped by the building. The original school grounds had a sloping design. 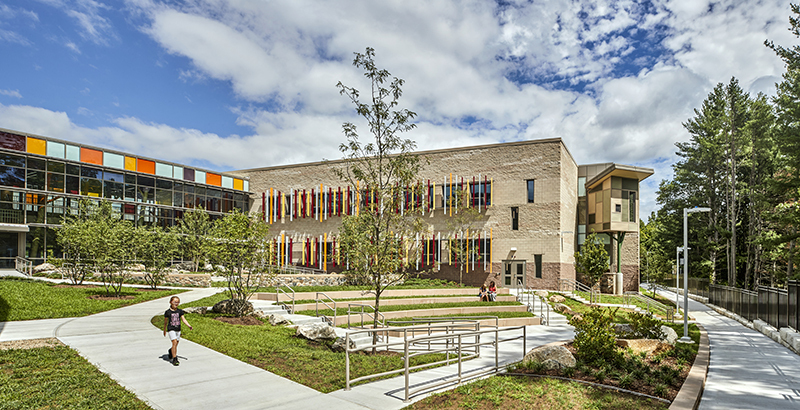 For the new school, Richter created a large plateau for the building to sit on, surrounded by security controls that blend into the environment in a natural way. 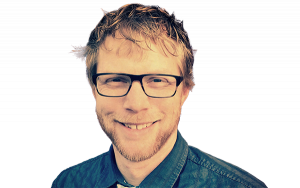 “By grading the site and using walls and fences, we could control the perimeter access without it being a very specific element in the landscape,” he says. Then they took advantage of existing wetlands, ponds, and a new bioswale around the school to funnel the public to designated parking areas or a drop-off zone. Visitors who want to access the building must cross one of two foot bridges, each with its own set of controls, and then pass through two sets of doors, both of which are in full view of, and controlled by, security and can be locked down. 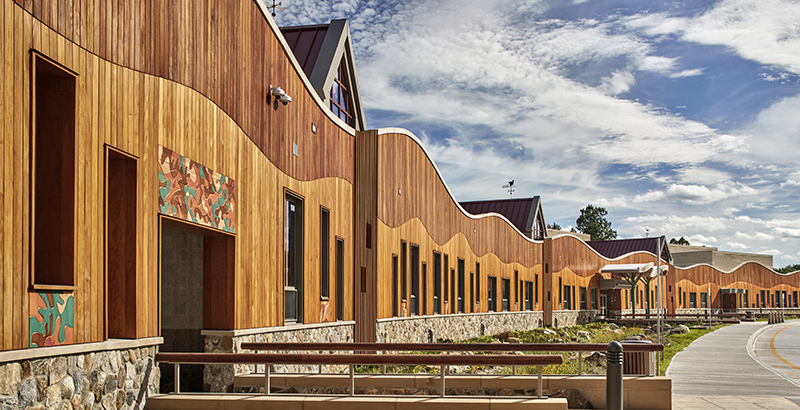 Richter, who has done similar work for other schools in the state, says the approach to Sandy Hook Elementary is pleasant for visitors — and the bioswale serves as an environmental education area for students — but the entire area is clearly visible to school staff and security. Anyone not arriving on a school bus or coming from the secured staff parking area must enter through the control points. Because of the graded landscape, people outside the building cannot easily look into classrooms, which are tucked into the back of the school, with administrative areas up front. The structure itself separates the playgrounds and outdoor learning spaces behind the building from the public area in front, and shields them from view. Windows and doors are made of special glass that doesn’t break even when shot or struck repeatedly with a sledgehammer. The faculty parking area uses custom-designed key cards, and classrooms and outside areas can be easily locked down, if need be. 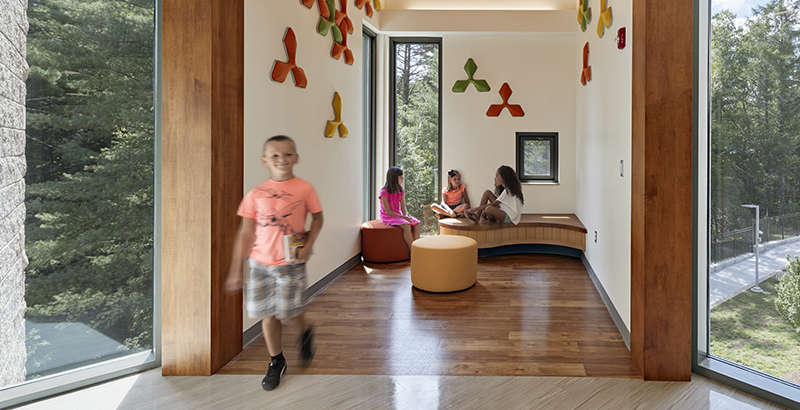 While working on the Sandy Hook project, Svigals + Partners was able to contribute to Connecticut’s new statewide guidelines for school safety. Konefal says she hopes the state’s plan becomes a mandatory minimum nationwide for cost-effective security and safety. Although every jurisdiction around the country will ultimately decide for itself what becomes the new normal for safety, the Connecticut model at least sets a framework for making those decisions.